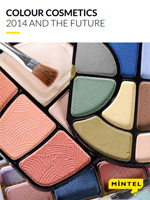 This global annual market overview will provide you with an in-depth review of the key issues in the global colour cosmetics market through 2014 as well as our forecast for what will happen in 2015 and beyond. The colour cosmetics market is led strongly by the US, with sales in 2014 nearly double that of the second most important market - Brazil. Japan follows closely behind followed by China and the UK. The US colour cosmetics category is expected to remain a solid performer. Among the smallest markets are those registering the most spectacular growth, including Indonesia, India, Vietnam and Turkey. NPD in 2014 has been mostly led by two categories, lip colour and nail colour, still considered as an affordable luxury. The two segments represented more than half of 2014’s colour cosmetics global launches. Claims of 2014’s launches remain unchanged compared to previous years, long lasting remaining the most important claim for four in 10 launches. Many innovations and new concepts have been seen across formats, with hybrid products being in the spotlight. ‘Cosmakeup’ products, at the frontier between make-up and skincare, has been a major trend of facial colour cosmetics and is moving into lip and nail care as well. However, cross category products are challenging established categories and there is a growing risk of overlapping benefits between skincare and make-up products.